T Sgt. Otho E. Shults, son of Mr. and Mrs. L. M. Kuykendall, graduated from Tipton High School; husband of the former Eva Suiter. Entered Air Corps in April, 1943, trained in Scott Field, Ill., Harlingen, Texas, March Field, Cal. 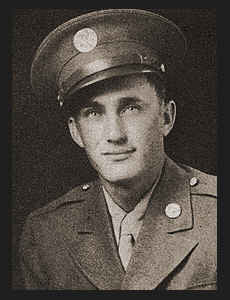 ; served in Saipan, Guam; was discharged in Sept., 1945. Awarded DFC, Air Medal with five Oak Leaf Clusters, Asiatic Pacific Ribbon with four Battle Stars, Good Conduct Medal.